Prominent & Leading Manufacturer from Noida, we offer distance healing yantra, wish fulfillment yantra, shubh labh yantra, sarva karya siddhi yantra, premvriddhi yantra and court victory yantra. Reiki Distance Healing Yantra is very Powerful Reiki Yantra used for healing the person with Reiki Power. Distance healing is imagining reaching out and touching somebody, not with a telephone, a letter, or an electronic mail, but just with your energy and intention. Ku means penetrating making a hole; space or nothingness. Purpose: An all purpose symbol that can also be used to magnify the effects of other Reiki frequencies. Hei is a base chakra use for balancing energies. Purpose: a relaxing symbol used to calm the mind, promote balance and reinforce healthy habits. Nen means stillness thinking by keeping in the deep part of the mind. Purpose:this symbol used in distance healing and for relieving karmic issues. Purpose: Healing the soul, healing the aura, increasing intuition and psychic abilities. When the above four symbols are combined together, then this is known as the Reiki Wish Fulfillment Yantra. This Reiki Yantra is used for fulfilling all the desires of a person. It can help the person to bring about physical relaxation, mental clarity including improved ability to visualize, clairvoyance, enhanced healing skills, and expansion of consciousness. Reiki Wish Fulfillment Yantra can also be used to help solve problems and achieve goals. This Reiki Yantra has amazing tendency to harmonize all the areas of concern in your life. Reiki Wish Fulfillment Yantra is used for fulfilling all the desires. Reiki Wish Fulfillment Yantra brings positive energy. Reiki Wish Fulfillment Yantra enhances healing skills. Reiki Wish Fulfillment Yantra is used to heal serious, chronic, dreadful physical and mental diseases. A Reiki expert may use Reiki Wish Fulfillment Yantra for mass healing. Astro Vedic Shubh Labh (Overall Harmony) Yantra is a combined Yantra of Goddess Lakshmi and Lord Ganesh and is used for creating harmony between wealth and wisdom, materialism and spirituality. Through Ganesh Yantra one attains success and wisdom and through Lakshmi one is blessed with wealth. Shubh Labh (Overall Harmony) Yantra, meant for Good Luck, Fame, Success, Wealth & Prosperity can be placed in Pooja Ghar (Worship place), in cash box or a cupboard. We highly recommend that every home should install this Yantra for the blessings of Lord Ganesha and Goddess Lakshmi. Shubh Labh Yantra would not only open the doors of your destiny but would also bless you with all happiness and prosperity. It is a tested Yantra, Keep this Yantra in your home or in your purse; you would be crowned with Success. All the householders should keep Shubh Labh Yantra in their homes, offices or shops to ensure harmony. 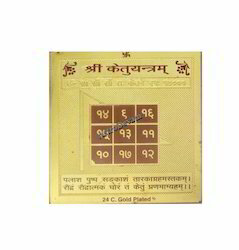 We specially recommend this Yantra for the persons, who lack mental peace, domestic harmony, despite of having reasonable prosperity. Astro Vedic Karya Siddhi (Desire Fulfillment) Yantra is a highly effective Yantra, which ensures the individual's well-being & success in desired aspect of his life. It also signifies success in politics, favors from superiors & fulfillment of all desires; for protection against the 'evil eye' and other dangers. 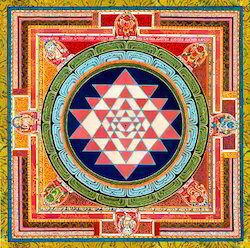 This Yantra is meant for Fulfillment of all Desires. Whatever is desire and wish; knowledge, wisdom, cure of diseases; confidence & happiness; family progress in the present and future; health, wealth, prosperity, a comfortable & happy home, and protection from all troubles; For power, authority, finances of the individual & those dependent on him. 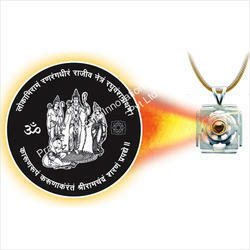 This Yantra bestows courage against all odds, ensuring success in all activities. This Yantra should be placed in the house at a prominent place, or kept in the 'Pooja' or prayer room, for fulfillment of all desires. Prem Vridhi Yantra (Literal meaning Love Enhancement Talisman), is used for increasing the quantum of love and affection between various relationships, especially between husband-wife and lover-beloved. 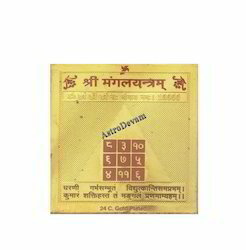 Supposed to be a miraculous tool for increasing the intensity of love in various relationships, working of Prem Vridhi Yantra is although not same, but akin to Akarshan Yantra and Yantra. The energy of the Yantra is supposed to give such intensity to the aura of the bearer that the desired persons feel good to be near him. Just focusing on this Yantra, intensifies the willpower and energy of your mental frequencies to smoothen the equation between you and your targeted lover. The whole process results into attracting and drawing the person of your heart's desire and dreams to you. The more intense your desire for your beloved, the faster will be the results. 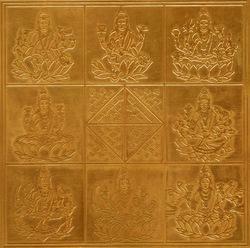 Prem Vridhi Yantra draws forces of universal love, more particularly of the person you love, towards you. Improving the chemistry and relationship with your beloved, Prem Vridhi Yantra is an astonishing tool for escalating the feelings of love, affection, companionship and attraction in your life. Astro Vedic Court Victory Yantra is very helpful in winning court cases, getting success in law suits and favorable end of court proceedings. It is advised that after being installed, one may carry this Yantra on the crucial dates in the Court. Panchmukhi Hanuman Pendant or Panchmukhi Hanuman Locket is considered as one form of Hanuman with great power and strength. It is used to overcome the negative energy and its effects. 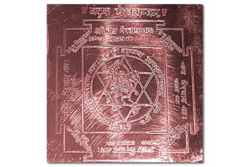 This Yantra is often called as Panchmukhi Hanuman Kavach. It is highly recommended for those who are suffering from evil eye and effects. Prevents malefic effects of Saturn. Provides you with good business. Offers you great health, wealth and prosperity. Provides you mental and physical strength. Protects you from evil spirit and ghost fear. Astro Vedic MahaKali Yantra bestows on the devotee fulfillment of all his desires, wealth, comforts of life and is used for Mohan or purposes. Mahakali Yantra, a very powerful and tested Yantra, is capable to weaken most fierce enemies. Goddess Kali in a fierce pose is deity of this Yantra. 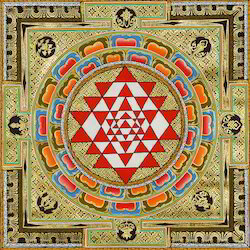 This Yantra is composed of a Central Point (bindu) within five inverted triangles, three circles, eight petals inside and outsides, whole Yantra enclosed in four doors. Believed to have occult powers, worship of this Yantra reverses the ill-effects of , and frees a person from the bad influences of spirits & ghosts. This Yantra also eliminates the harmful effects of malefic planets, especially Saturn, which is usually responsible for misfortunes, sufferings and sorrows in life. Maa Kali is worshipped as Mother Goddess and a symbol of Shakti or Power/Strength that protects the world from evil with her eternal energy and cosmic power and helps to eliminate the dark side of life. It is made of copper. Lord Ram, the greatest personification of pure thoughts, dignified qualities and absolute conquest, is the deity of Ram Raksha Yantra. Bearing Ram Raksha Yantra brings in similar traits in a person, who bears and worships it with pure heart. 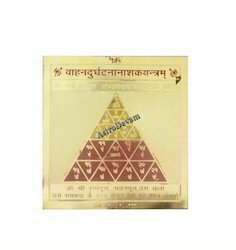 This Yantra takes away all the problems and difficulties from the life of its bearer. Also, all kind of negative energies and evils get destroyed through the possession of Ram Raksha Yantra. A person who worships Ram Raksha Yantra with true belief and devotion does not faces barriers and troubles in his work and attains success. This Yantra confers its bearer with affluence, success, recognition, comfort and all round prosperity. Ram Raksha Yantra installs and arouses an inner tranquility and mental peace in a person. Person becomes focused and apparent, and holds an outlook of a victor. Ram Raksha Yantra also helps a person in making self realization of the spiritual side of his individuality and of his life. Traditionally Rama Raksha Yantra is believed to protect you in the most adverse circumstances. This Yantra destroys all the evils and curses, and protects the person from all sorts of difficulties. Worship this Yantra to get rid of all perils and obstacles in the way of your success, to gain prosperity, fame and luxuries. It is said to remove all turmoil at home, and establish peace and harmony. 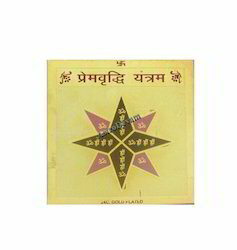 This Ram Raksha Yantra can be established at home on Tuesday or Thursday in the morning. Sampoorna Jeevan Sufaldayi Shri Yantra is one of the best Yantras for getting all over success in your life. This Yantra is very influential Yantra for fulfilling all your desires in your life. Jeevan Safalta Yantra is established to getting success of your family, friends and dear ones. 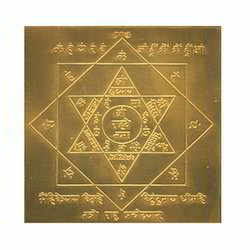 Sampoorna Jeevan Safalta Yantra is the combination of above all thirteen Yantras. This Yantra is meant for fulfilment of all wishes. Whatever is wish and desire; information, understanding, alleviation of illnesses; self-belief & pleasure; family growth in the present and future; physical condition; riches; wealth; comfortable & happy house; defence from all difficulties; authority; power; investments. This Yantra gives bravery against all negativity, making sure victory in all activities. This Yantra should be placed in the house at a prominent place, or kept in the 'Pooja' or prayer room, for fulfilment of all desires. Sampoorna Astro Vedic Vidya Dayak Mahayantra is worship to receive blessings from Goddess Saraswati. It is believed that Goddess Saraswati bestows intelligence, intellect and is also the patron Devi or music and learning. Worshipping Astro Vedic Sampurna Vidhya Dayak Mahayantra can do wonders for an individual in order to attain good fortunes, happiness, wealth and prosperity. The Yantra has power to improve grasping power and also increase concentration and memory of the individual who worship the Sampoorna Astro Vedic Vidya Dayak Mahayantra. Many people believe that the blessings offer by Goddess Saraswati has helped them to be strong in different aspects of life. The Mahayantra has also helped the people to take right decisions in their life. Also, ensure that you offer lotus to the Mahayantra. Sampoorna Vaastu Yantra help in maintaining the harmony and balance in our external and internal vaastu and hence make our life better. Sampoorna Vaastu Yantra also protects us from untoward misfortune and harm. It can be installed easily at home and at work place in East or North direction. It helps us to achieve mental peace, material prosperity, happiness and harmony at home as well as at work place. Sri Santan Gopal Yantra (Literal meaning- Infant Krishna Talisman) is one of the most popular and potent instrument for getting a child and a safe progeny. Since time immemorial, Lord Krishna in infant form has been worshipped for getting healthy and beautiful child. Sri Santan Gopal Yantra not only blesses a couple with a beautiful and intelligent child, but it is also capable of preventing miscarriage during pregnancy. When combined with other Vedic systems to cure infertility and childlessness, Santan Gopal Yantra has been found very effective in healing fertility problems and blessing healthy children. This Yantra protects the expectant mother against miscarriages and ensures safe delivery of the baby. Additionally, properly energized Santhana Gopala Yantra can also bless the children with good health and immense knowledge. 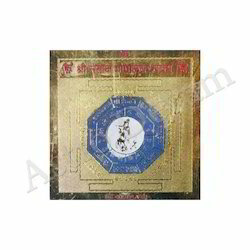 Vyapar Yantra bestows health and wealth to user. This Yantra also grants prosperity, success and satisfaction to its users. It blesses the worshipper with accomplishment of goals, fulfillment of targets and overall success in ventures. This is for every person who has shops and showrooms. 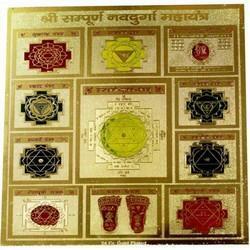 It is also well known as Yantras for wealth and Business Yantra. a> Provides you with health and wealth. b> Fulfills all your goals and desire. c> Increases sales and turnover. d> Brings success in your life. e> Your are blessed with prosperity and harmony in your life. 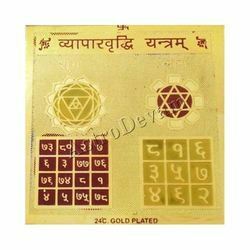 AstroDevam.com offers you a Yantra for business growth, at very reasonable price. Well energized and pre-programmed by Achary Kalki Krishna himself. Two laxmi kavach pendants: It is a pendant that brings wealth & prosperity to the wearer. Tortoise Shri yantra: Sumeru yantra is a best source of success. Shri yantra: It fulfills all your desires and wishes. Laxmi charan paduka: Laxmi charan paduka gives you wealth and prosperity. Goddess laxmi idol: By worshipping this godess laxmi idol, you can fulfill all your desires in your life. 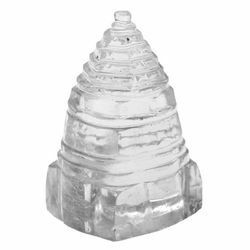 Crystal Shri Yantra is made up of natural rock crystal. Nature forms natural Crystal, also called Sphatik, in millions of years, filling it with abundant energy. 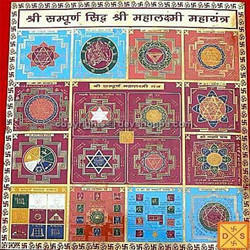 All the three dimensionalSphatik Shree Yantras are also called Sphatik Meru Shree Yantra or Sphatik Sumeru Shree Yantra,due to their unique three dimensional design. Natural Crystal Meru Shree Yantra is also called Sphatik Shree Yantra, as Sphatik is another word to be used for Crystal. On considering that the unique Geometrical symbol of Shree Yantra always brings in tremendous amount of wealth , abundance, good fortune, and most important, harmony in all aspects of life; this was truly termed as Sri Yantra - Sri means prosperity and Yantra means tool or instrument. Natural Crystal Shri Yantra catches radiant white light power and reflects back rainbows. The energy of the Sphatik Shri Yantra lies in the pointed peak of the pyramid that symbolizes the doubled powers of Trinity. The most powerful instrument for prosperity, Sri Yantra is considered to be beloved to Goddess Lakshmi, the Hindu Goddess of riches. Natuarl Crystal Shree Yantra aids in removing obstacles and negativities from your life. The Sphatik Shree Yantra helps us break through the energy fields to get transparency in thought and action. 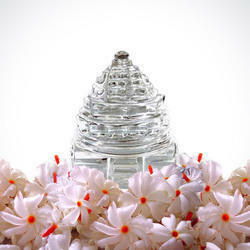 A person who worships a Sphatik Shree Yantra Crystal grows religiously, spiritually, acquisitively and materially. You can place it on the study table of your children who lack concentration or are weak in studies. As per Hindu Mythology, Lord Kuber is the God of wealth and money. 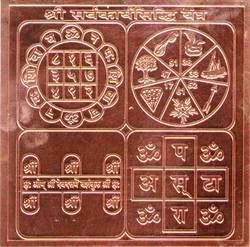 Astro Vedic Kuber Yantra denotes all type of material resources i.e. wealth, money and success in business as well as acquisition and accumulation of wealth. Astro Vedic Kuber Yantra blesses the owner of this Yantra with wealth & prosperity and opens up avenues for new sources of income, increased fund flow & accumulation of wealth. 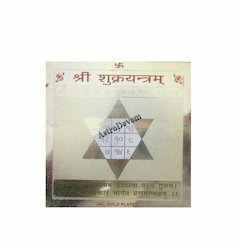 Astro Vedic Kuber Yantra bestows wealth, prosperity and good fortune on the owner of this Yantra. Worship of this Yantra gives the worshipper all these results. The owner of the Yantra will never be devoid of money & material comforts - his house & treasury will always be full, and he & his family will never have shortage of resources. 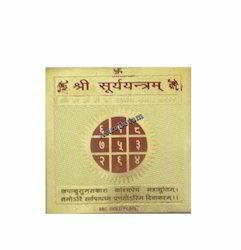 This Yantra, highly recommended for growth in business, career and profession as well as increase in income and wealth, may be kept in house temple, Cash box, cupboard and in offices, where financial transactions are made. 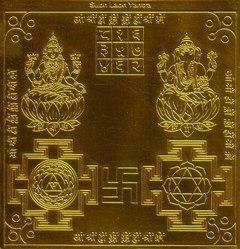 Maha Mrityunjaya Yantra is one of the most auspicious Yantra to get rid of all types of dangers. This Yantra is devoted to Lord Shiva whose another name is Lord Mahamrityunjaya Shiva. It gives good health, good luck, fame, happiness and relieves from diseases. It dispels anxieties, phobias, fears, bad effects of malefic planets, ghosts, diseases, and unexpected death. 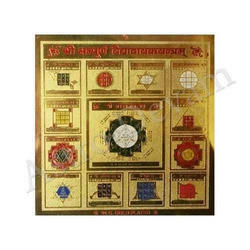 Maha Mrityunjaya Yantra is also useful for the person whose horoscope indicates that Saturn and Mars are placed at unfavorable position.The best aspect of this Yantra is that you can hang this Yantra anywhere at your convenience. 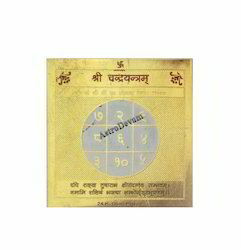 If you want to buy Maha Mrityunjaya Yantra, then visit to AstroDevam and book Maha Mrityunjaya Yantra online. 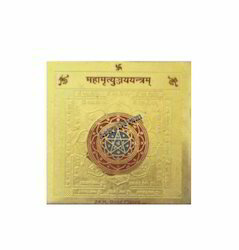 We are the best suppliers of Maha Mrityunjaya Yantra in India. Whether you want Maha Mrityunjaya Yantra in Noida or want to buy Yantra in India, please contact us, we provide you the best Yantras in the world. This Hanging Yantra saves the life and keeps you away from death due to an illness, natural disaster or accident. When health centers are unable to save a patient, HangingMahamrityunjaya Yantra saves him. 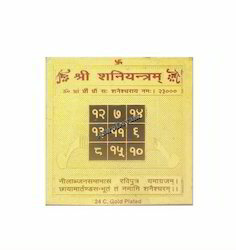 This Yantra also cures all types of Diseases. Astro Vedic Navagraha Yantra addresses all the nine Grahas (loosely translated as planets, but this is not the same, as Sun is a star, not planet and Rahu & Ketu are only sensitive points, again not planets) of Vedic Astrology. This Yantra is installed with two pronged objective; for getting the blessings of Grahas, who are benefic, and pacify and neutralize the Grahas, who are malefic to you. Being a generic kind of Yantra, this Yantra is recommended for all, particularly those, whose planets are detrimental or malefic as per horoscope. Navagraha Yantra is recommended to be worshipped life-long to ensure that you always get maximum advantage from your planets. A Yantra can both amplify and improve the beneficial effects of your planets. The Navagraha Yantra is even more special because it works on all nine planets at once and in a mutually harmonious fashion. This is the reason that installation of this Yantra does not require any deep analysis of your horoscope. Astrologically, Lord Surya (Sun) is the significator of power, authority, status, vitality, gold, medicine, wheat, promotion, victory, velour, fame, honor, relationship with boss and father, benevolence of the government and the person, who are in power. The person, who wants to enhance these aspects in his life, should install Astro Vedic Lord Surya (Sun) Yantra in their office or home. Astrologically, Lord Chandra (Moon) is the significator of mind and intelligence, heart, mother, general well being of body, facial luster, watery substances, lakes, sea, juices, alcohol, milk, honey, rice, benevolence of the women and women organizations. The person, who wants to enhance these aspects in his life, should install Astro Vedic Chandra (Moon) Yantra in his office or home. Astrologically, Lord Mangal (Mars) is the significator of Land and Property, Real estates, younger brother, army, weapons, ambassadors, aerial journeys, fire places, kitchen, police department, benevolence of young generation and youth organizations. The person, who wants to enhance these aspects in his life, should install Astro Vedic Mangal (Mars) Yantra in his office or home. Yantra in his office or home. Astrologically, Lord Guru (Jupiter) is the significator of wealth, fame, children, higher education, Banks, Insurance companies, religion. The person, who wants to enhance these aspects in his life, should install Astro Vedic Guru (Jupiter) Yantra in his office or home. Astrologically, Lord Shukra (Venus) is the significator of vehicles, luxury articles, musical instruments, film industry, television industry, electronic media, multiplexes, event management, precious stones, ornaments, hotels, spouse, festivities, and all the modes of enjoyment. The person, who wants to enhance these aspects in his life, should install Shukra (Venus) Yantra in his office or home. Astrologically, Lord Shani (Saturn) is the significator of Industries in general, Iron and steel as well as footwear industry in particular, Democracy, masses in general, Labor class, politics, judicial system. The person, who wants to enhance these aspects in his life, should install Astro Vedic Shani (Saturn) Yantra in his office or home. Astrologically, Lord Rahu is the significator of Foreign travels, unusual employments, creativity, pilgrimage, air travels, homosexuality, masochism, renunciation. The person, who wants to enhance these aspects in his life, should install Astro Vedic Rahu Yantra in his office or home. Astrologically, Lord Ketu is the significator of occultism, trouble to enemies, ultimate salvation. The person, who wants to enhance these aspects in his life, should install Astro Vedic Ketu Yantra in his office or home. Astro Vedic Navdurga Yantra is used to worship all nine forms of Goddess Durga. This is a powerful Yantra for fulfillment of highest desires, removal of business and personal problems ,to remove difficulties and to conquer enemies. Navdurga Yantra is especially worshipped during Navratras. This Yantra bestows wealth and property and protects the person from all sorts of physical and other dangers. Worship of this Yantra with faith gives progress in life and eliminates difficult problems. 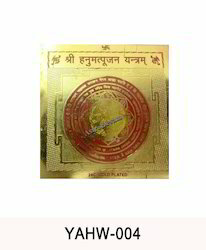 Actual name of this Yantra is Valgamukhi Yantra. The presiding deity is Goddess Bagalamukhi (Again correct name is Goddess Valgamukhi). Goddess Bagalamukhi is the eighth Mahavidya in the famous series of the 10 Mahavidyas Kali, Tara, Shodashi, Bhuvaneshvari, Chinnamasta, Bhairavi, Dhumavati, Bagala, Matangi and Kamala. Seated on a gold throne, with three eyes, wearing yellow, blissful, with limbs as bright as pure gold, this Goddess obliges her devotee by paralysis of his enemies' speech, mouth, legs, mind etc. Shri Baglamukhi Yantra helps achieve success in law-suits and competitions as well as pacify quarrels to the worshipper's advantage. The Bagalamukhi Yantra is also effective in warding off evil persons, spirits and supernatural powers. It is said that whosoever worships this Yantra, even if he is in the thick of war, in assemblies of thieves, in conflicts, in jail, on water, in magical attack, in litigation, in facing a king's wrath, at the time of an ordeal, at night, in fetters or in paralysis, in the slaughter of battle amongst enemies, in a desert, or in a forest, or at any time, becomes steady. Whosoever, bows to the Yantra and who wears it on the right wrist or round the neck, is protected in war. Shri Bhairav Yantra is a Sampoorna Yantra to appease Lord Bhairav and to get His blessings in life. Worship of this Yantra takes away all the bad effects of black magic, ghosts and evil spirits. Kal Bhairav Yantra works as a rescuer from the unhelpful influences and enhances auspicious and helpful energies in life. Kaal Bhairav Yantra is devoted as Lord Bhairava also known as Lord Bhairon. Lord Bhairav, also known as Kaal Bhairav, is a violent manifestation of Lord Shiva, with the idea of severity or cruelty. In some scriptures, it is written that Lord Bhairav has the head of dog, just to indicate inherent qualities in this fierce deity. As per Tantra scriptures, there are 8 bhairavas; their names respectively are Asitanga, Ruru, Chanda, Krodha, Unmatta, Kupati, Bhishana, Samhara; all signifying something fearful. Worship of this Yantra is very useful to win over your enemies, achievement and all worldly comforts. It is very easy to satisfy Lord Bhairav by doing normal pooja daily. Lord Bhairav guards the Lord Shiva temple, due to which he is called ‘Kotwal’ (Security in charge). Bhairav Yantra is a great Yantra to be used to diminish the problems caused by the wrong position of Rahu. Devotee will be blessed with wealth & affluence, son, family and what’s more, all sudden problems would be removed. Bhairav Yantra eliminates the effects of black magic on devotee and his/her family. It is also used for defense against hidden opponents, negative energies, ghosts and spirits. With our expertise in this domain, we are offering a superior quality range of Shree Yantra. Moreover, it is procured from the certified and trustworthy vendors of the market. Used for puja purpose and can be placed in homes, offices etc. Looking for Religious Yantras ?